Welcome to January, the month for Macaroni and Cheese! Last year the Wisconsin Milk Marketing Board asked me to contribute a recipe to help celebrate, and I shared the Mushroom-Herb Macaroni and Cheese. This year the Board is hosting another month-long celebration, and I was happy to whip up more homemade mac n’ cheese to take part in the festivities. 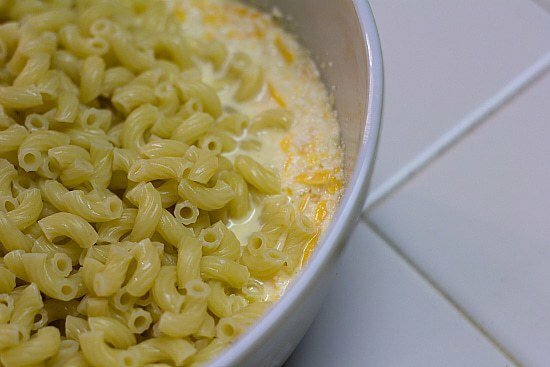 All of the homemade macaroni and cheese recipes I have made up until now use a white sauce as a base made with butter, flour and milk. 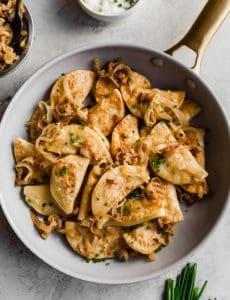 This recipe utilizes a shortcut to create that creamy base, and it results in a much quicker prep time (with fewer pans to wash), and a fabulous flavor and texture. Bake it up and enjoy! 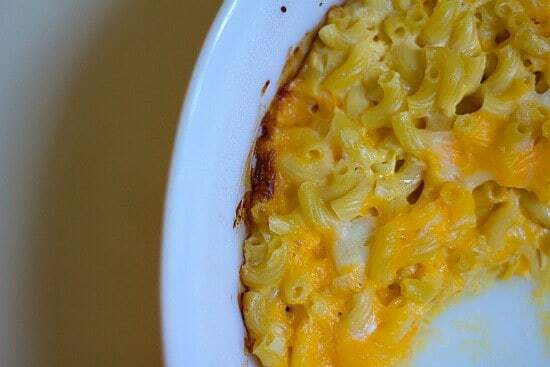 Head over to the Macaroni and Cheese Blog and spend an entire month drooling over macaroni and cheese recipes. That’s my plan! Disclaimer: This post was sponsored by the Wisconsin Milk Marketing Board. I received compensation for ingredients and my time. Transfer mixture to an 8- or 9-inch square baking dish or 2-quart gratin dish. 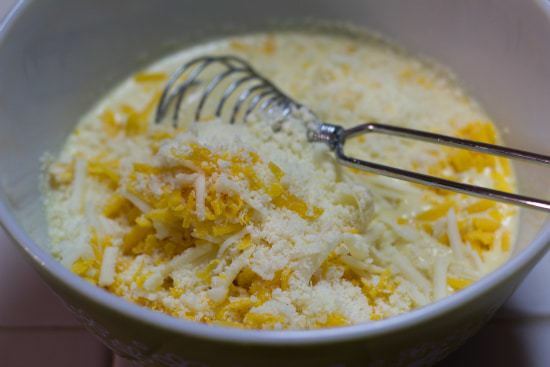 With a spoon, gently spread mixture to form an even layer. Bake just until sauce bubbles at edges, about 12 minutes. Let rest for 10 minutes before serving. Have to say I made it exactly as the receipt calls for turned out more like scrambled eggs than mac and cheese. I’ve made this recipe at least five times and I’ve always had to almost DOUBLE the bake time in order for it to set. Am I doing something wrong?!? 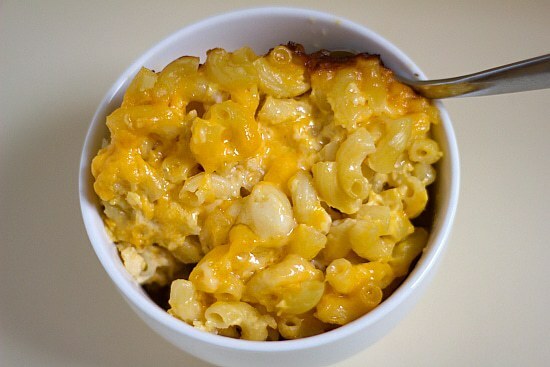 I’m planning to make this today and see if I can put some in a lunchbox and reheat for lunch tomorrow (in a microwave)! I’ll see how it goes! Hi Tammi, I’ve never made it ahead of time so I can’t say for sure. I would probably assemble it, refrigerate, then bake it the next day. I wouldn’t bake it one day, then put it back in the oven the next day. Tried it for valentines day and loved it, I also added mozzarella cheese, bread crumbs, ham chunks and bacon bits. Oh and i replaced minced garlic with fresh chopped garlic. I made it for thanksgiving and it was awesome. I doubled it and it turned out perfect ry. Although I omitted the garlic! Hi Sherida, I have not scaled up the recipe, but I wouldn’t think you’d have a problem doing so. Enjoy! Sherida, I doubled it and it turned out fine. can i use milk instead of evaperated milk ? 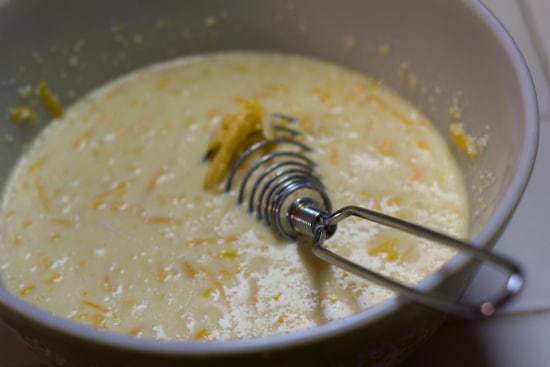 – Simmer 2¼ cups of whole milk down to 1 cup. 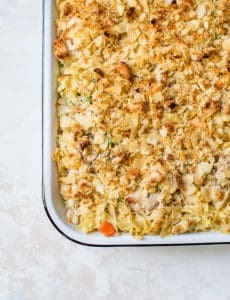 I am a sucker for a good mac and cheese recipe so I guess that means I will be making this recipe for dinner. Yikes, I made this and it did not turn out for me for some reason. 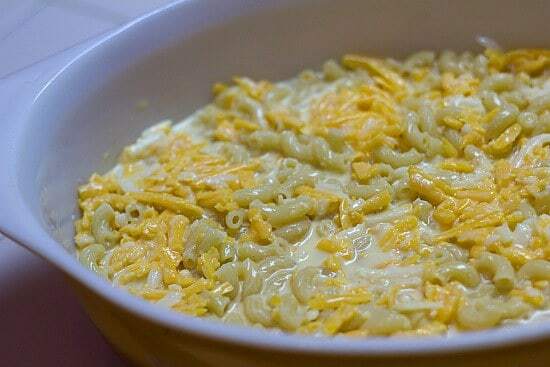 It ended up tasting like eggs and cheese with some noodles in it… the only thing I could tell is that it seemed like the 1/2 pound of macaroni did not seem like very much at all, it was only 1 cup. Any advice?? I was very excited about this recipe, it seemed like everyone else got it to turn out! Tonight is my third time making this recipe. It’s wonderful, very tasty, and super easy. 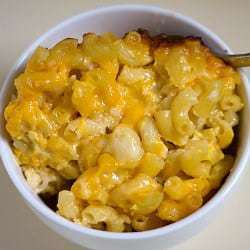 I normally use regular macaroni and a mix of sharp and extra sharp cheddar. 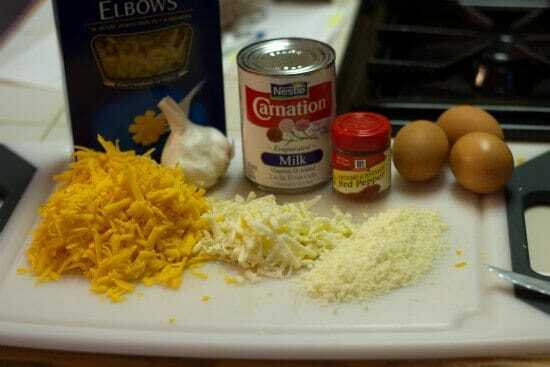 Tonight I’m using whole wheat rotini and a Mexican cheese blend. Thanks for this great recipe! I would love to add breadcrumbs! Any tips oh how much should I add, and when? Aria, I would mix 1/2 cup of breadcrumbs with 2 tablespoons of melted butter and sprinkle it over the top before you bake it. Makes a delicious crust! Hey there. I used this recipe last night for dinner. It was a hit! I love it because it takes my mom’s recipe and adds garlic and cayenne. Delish. :-) I’ll be making it for the next big potluck event. Thank you. I just made this for dinner. Thanks! 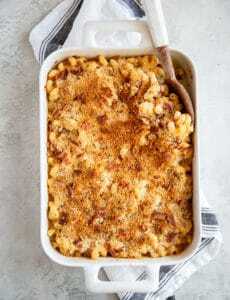 It’s the best mac and cheese recipe I’ve tried (and I’ve maybe tried a dozen). I’m drooling at the mouth, nothing beats Mac&Cheese. I wish I had another upcoming holiday to the states (particularly NY) so I can visit S’Mac (restaurant). You’re recipe looks ace, I would never have thought of putting evaporated milk into the mixture. I made this last night. Yum! I love the hint of garlic. The egg gave it a nice texture. My son is not a fan of baked mac and cheese but he really liked this one (I think it’s the texture he liked). Thank you for sharing! !